Ok, so you know I’m gonzo about le moulage, right? It’s basically a princess line dress, with no ease. That makes it a pretty accurate model of a specific human’s torso. But what the heck do I do with that information? I’m working with two remote clients right now, and they’ve sent me back their moulages (with notes – nothing is perfect the first go). For Haley, I need to draft a regency style corset for her Elizabeth Bennet inspired dress. 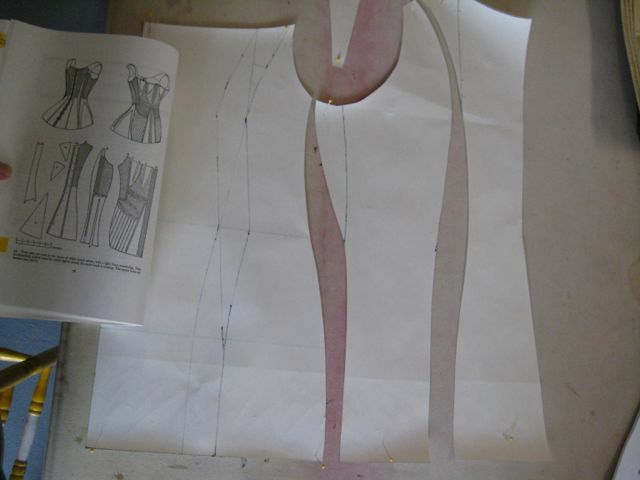 Here’s how to go from Moulage (or any other princess-line sloper you’ve got handy) to the least moulage like thing I can think of – an 1820s corset. 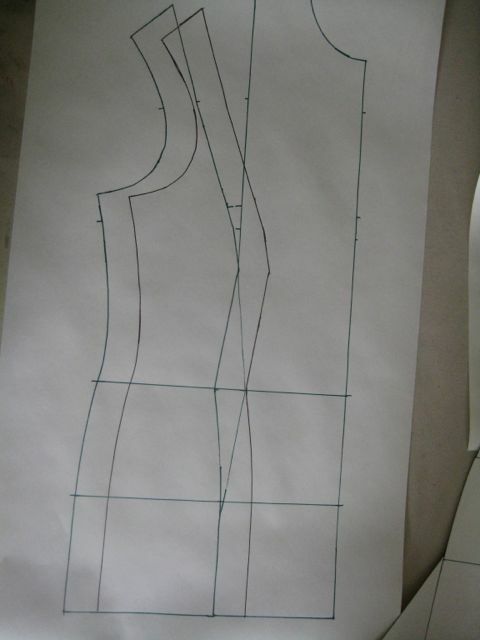 ;) Let me start out by saying that this is a pattern that you really can draft as a rectangle with a couple wedges for fitting. I just abhor doing anything the easy way. ;) Also,this isn’t technically a draft – it’s a block manipulation, which is kind of the Picture Pages version of pattern making, and that appeals to the visual learner in me…. 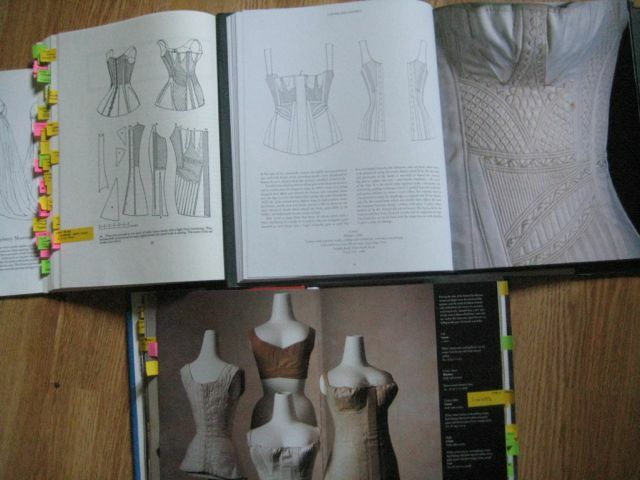 My research/inspiration for the pattern: Corsets and Crinolines (upper left), Underwear Fashion in Detail (upper right), and Taschen's Fashion. Who's got a post-it flag fetish? 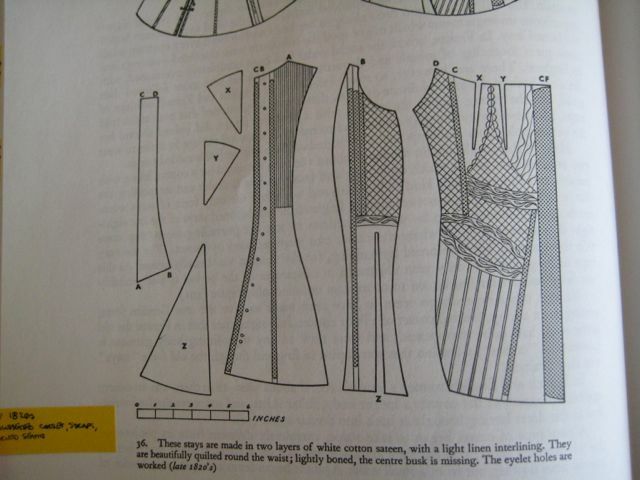 For reference, here's pg 76 of Norah Waugh's Corsets and Crinolines. These are the pieces I need and the shapes I need them to be. 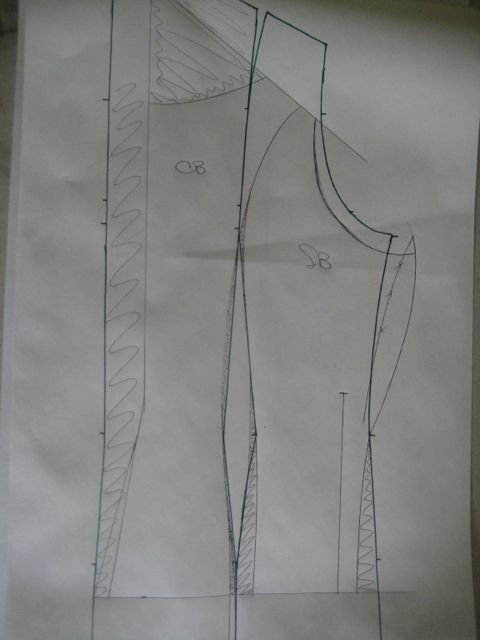 The corset itself is relatively simple. It has a Center Back, Side Back, and Front pieces. 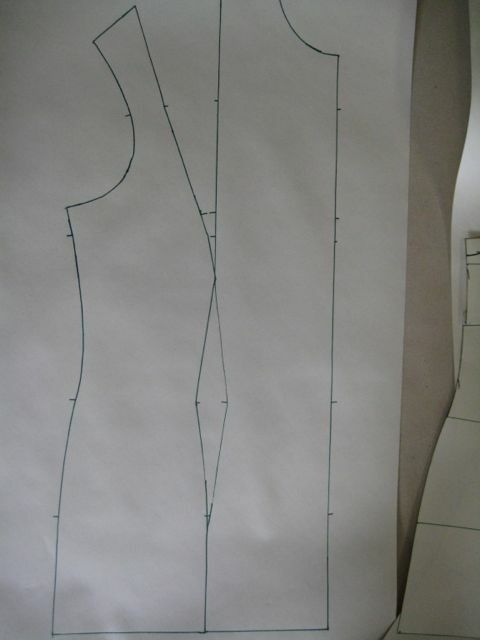 The major shaping is done with two bust insets and one hip inset. There is also a strap piece. I'm starting with the back, because it's easier. 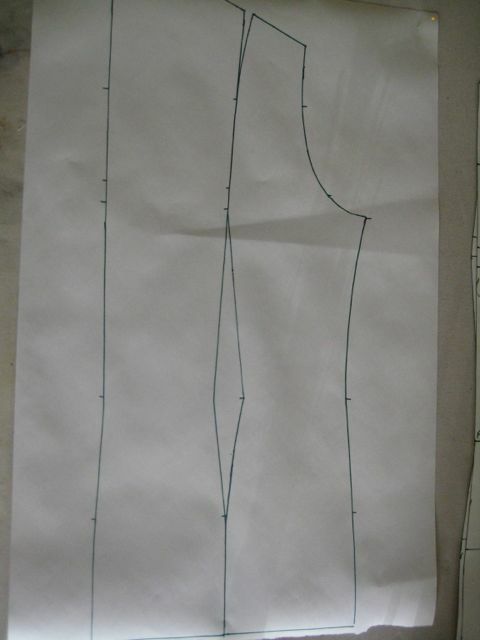 I've traced off the Center Back (left) and Side Back pieces of the sloper, lined up so they touch. 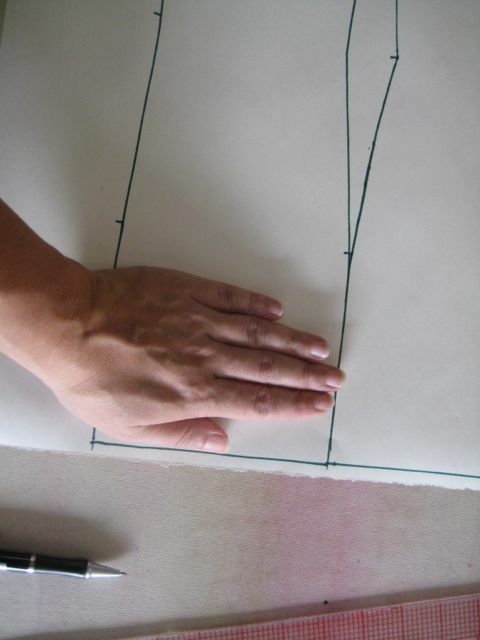 I might want to make the pieces about a hand shorter for wearing comfort - I'll know when I see the proportions on the finished pieces. If you take too much out of the hip area of a corset, two really bad things can happen. First, you get a really unsightly bulge at the bottom of the corset – like a low-hanging muffin-top. Second, and more practically, sitting becomes problematical. The corset is pushing all your fluff downwards. When you sit, though, your fluff tends to push upwards. It gets ouchy…. 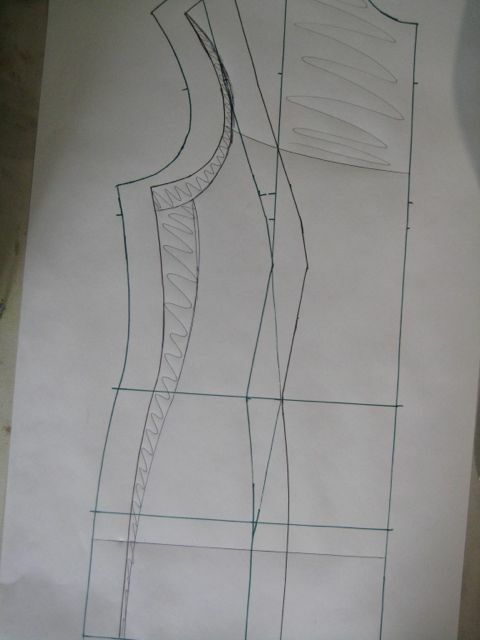 I want to establish a back neckline, as well as the join between the strap and the back of the corset. (The strap join is drawn in as an angled line.) I'm staying below where the upper shoulder shaping happens, to avoid having extra fabric that will pull away from the body. The side piece is shaped sort of like an oval on a stick. 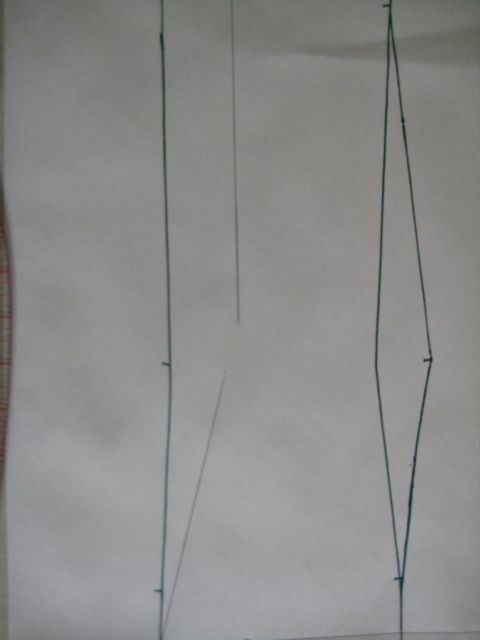 I redrew the top curve, added a little to the front side, and straightened the lines below waist level. Oh, gee, missa, is that all? Ok, here’s the logic: I can reshape that upper potion of the shoulder all I like, and it’s a freebie – since I’m not crossing any areas of negative space, it’s just a style line. 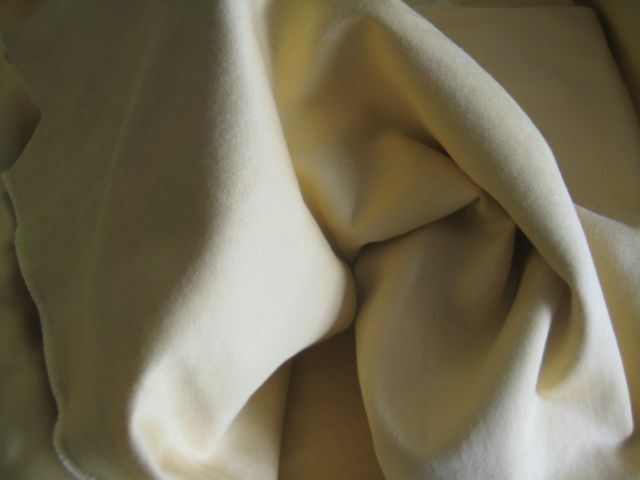 (ie, a seam added for visual interest, rather than shaping. When I add to the other edge of the side piece, I know I have to subtract some from the Front piece. The bigger issue is that I’m removing chunks of the corset below the waist. The cumulative amount of those chunks will be the size of the hip inset. 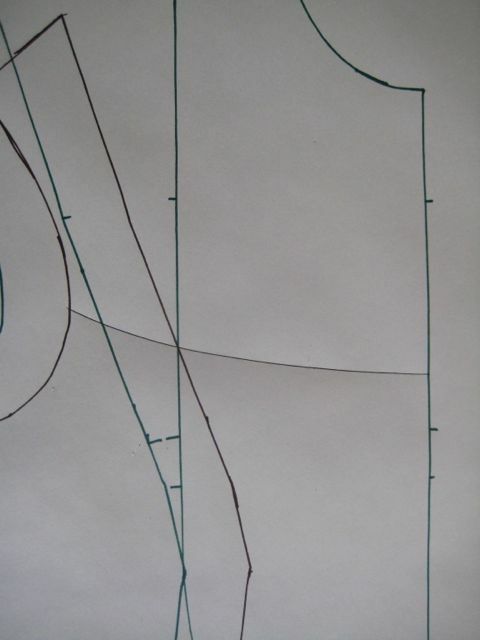 The hip inset will be added right where that straight vertical line has been drawn in the side panel. That line goes slightly above the waist – so this corset will move the waistline up slightly from it’s natural location in keeping with the silhouette of the time. On to the front! Star by tracing the Side Front (left) and Center Front pieces out. I've retraced the side front (in brown, this time) so that the pieces meet at the waist. See those overlaps? They become part of the insets. 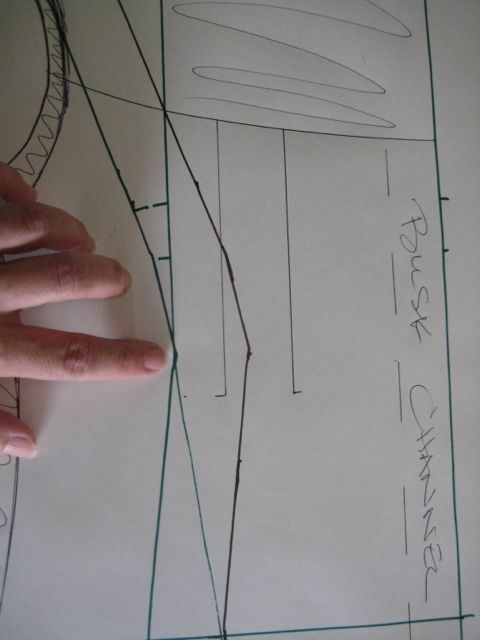 I've drawn in the front neckline so it hits around the middle of the armscye and has a slight curve. Because I added to the side piece, I have to subtract a similar amount from the side of the Front piece. The corset has two bust insets that create a fairly effective cup. I want to raise the bust for a, um, more dramatic presentation, as it were. I'm also moving the two bald men a little closer together in their balcony, though there will still be a rigid central busk to separate them. The pieces are not exact replicas of the original, because they still reflect the body proportions and metrics that I’m inheriting from the moulage. But they’re true to the basic geometry of the original – they’ve got the same sort of flowing, gentle curves for shaping. For the hip inset, I determined that I’d removed 9″ from the original moulage hip. 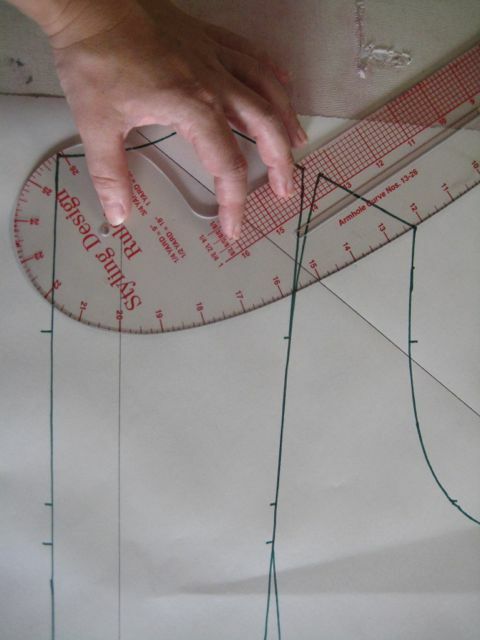 I drafted a triangular gore that is the height of the hip inset line and has a base of 9″. The strap was made by piecing together the bits of shoulder cut from the front and the back, and coercing them into a straight line. I’ll be cutting this on the bias, so it will have some stretch to it. okay, now THAT was a cool lesson!